Have you ever had a dream car? You know, that car you have been thinking about for a long time but couldn't buy it at the time, or didn't have the finances to purchase a vehicle? We here at Acra Auto want you to come by and fulfill that dream by buying one of our used cars for sale in indiana. If you have ever thought about a car so much that you said one day I am going to have a car like that, maybe not now, but one day. There is no time like the present. If you couldn't get the car of your dreams because you have a family or maybe when the kids were small you needed a more family suitable car, Now perhaps the kids are grown and have left the nest, and you are ready to take the plunge and get that car of your dreams. Why not come by and take a look at what we have for sale. You have worked hard, and you deserve to get that car you have been dreaming about finally. Or maybe you want one because they are fun. Everyone loves a convertible. Nothing is more relaxing than letting the top down on your car and going for a ride. There is nothing better than feeling the wind in your hair, and the sun on your face. It's such a sweet ride when you have a car that makes you feel good. Maybe you want to drive it to the beach, or mountains, or even to work. Have you been searching for used convertible cars for sale? We have all varieties of convertible vehicles here at Acra Auto. From Sporty to sleek, and all different makes and models to see. We have a large variety of cars. Perhaps you have wanted a luxury car, or maybe a sporty type SUV, or a Pickup Truck. 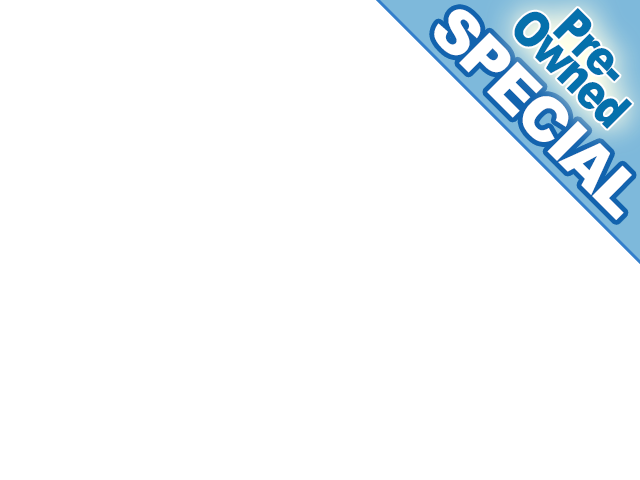 We have something for everyone from pre-owned convertibles for sale, to Jeeps, to 4X4's and everything in between. 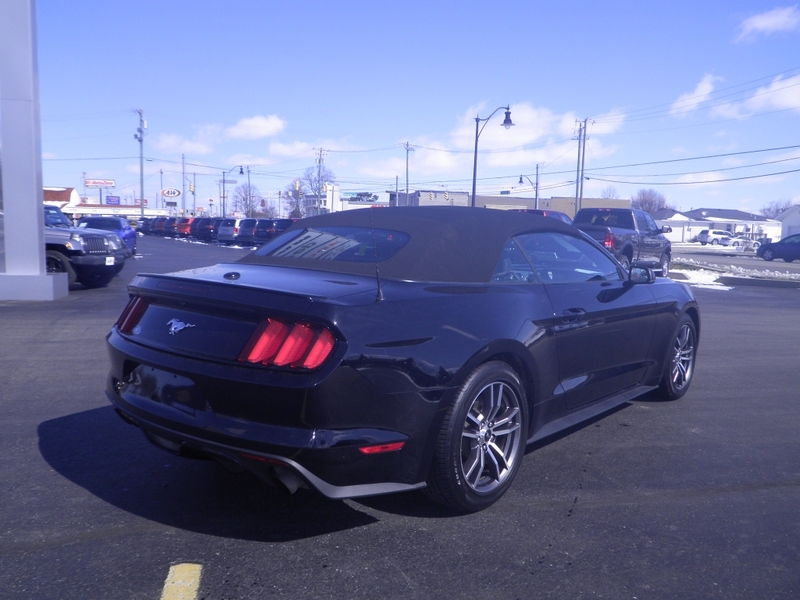 If you like Mustangs and have always wanted to have a convertible Mustang, we have a beauty. 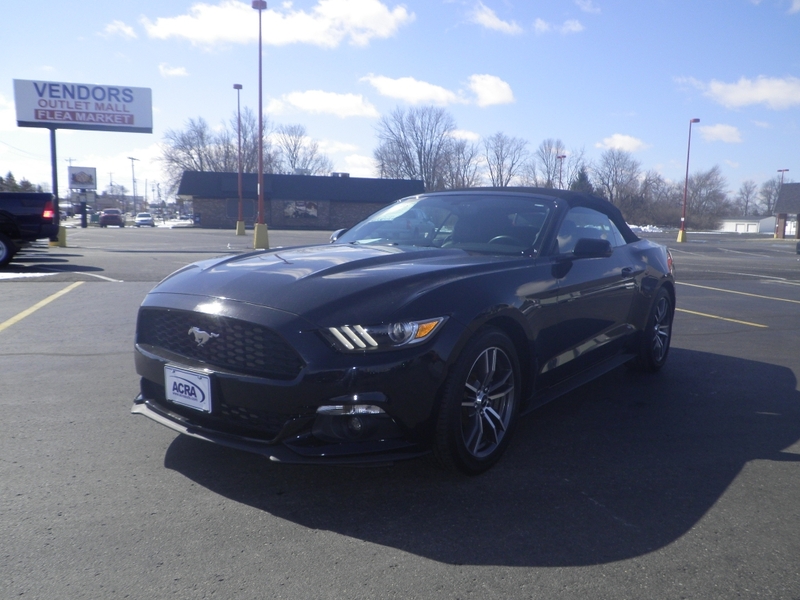 This 2017 Ford Mustang has a lot of beautiful features including heated seats! This Ford Mustang has black exterior and black interior. It comes with not only heated seats but also leather seats. If its options you are looking for, here are a few Convertible Top, Satellite Radio, Premium Shaker System, Paddle Shifters, Push Button Start, Turbo Charged Engine, Backup Camera, OnBoard Handsfree Communication System, Heated Mirrors. Too many features to name.